Lifestyle Daily - Are You A Single Senior Interested In Online Dating? Are You A Single Senior Interested In Online Dating? Congrats, you’re a single senior! You have freedom, the wisdom of life experience and you know who you are. Even better, with baby boomers poised to live longer than previous generations you’ve got the chance to spend your 50s, 60, 70s and beyond healthier, fitter and more active than ever before. And if you’re looking for someone to share your new world of fun times and adventures with, online dating is a great way to go. You see with the traditional methods of meeting people it’s not always easy finding someone to share the good times of your golden years with. Maybe you’re out of practice with dating… Or you’re bumping over some rough roads trying to find someone you like… Maybe you don’t have the energy – or interest - to go on a bunch of random dates only to find people you’re not compatible with… And if you’re a single senior woman trying out the socials scene, there’s a great chance you’re feeling the frustration where women can outnumber men 4 to 1. What Do Today’s Seniors’ Want? Well for starters, nobody likes to be lonely. And while this is pretty obvious to everyone of all ages, for seniors it means there’s a good chance your top priorities have changed when looking for new relationships. Now add that - as a whole - Baby Boomers are heavy into fitness/playing sports, hitting concerts (this is the Woodstock generation) and getting out to stuff like art galleries, cultural experiences and sporting events, you can see why today’s single 55+ folks really want to meet others they can have a good time with. According to a Pew Research Poll taken in 2016, 12% of seniors 55-64 were using online dating (a 100% increase from 6% in 2013). This means if those numbers continue to shake out in 2018 you’re looking at roughly 25% of the 55-64 senior population using online dating. Baby Boomers aren’t only vibrant and active but they’re solid with current technology and are comfortable using it to find their companions. With roughly 64% of people between the ages of 50-64 active on social media and 10 per every 1,000 adults aged 50 and older recovering from divorce (a rate which has doubled since 1990), seniors are looking to take advantage of today’s tech to help them find great new friends and companions. Which brings us to online dating. With an estimated 19 million+ single seniors in the U.S., online dating is an excellent way to find people with the qualities you’re looking for and who share your interests. Thanks to advanced filters which let you specify the types of people you’re interested in, 55+ dating sites are quickly overtaking the traditional ways senior found dates in the past. Now the growing trend of online 55+ dating means there’s more sites than ever to choose from. And while it’s usually free to sign up and create your profile, you’ll most likely need to pay a monthly fee to use the “premium features” (send messages, read messages, see who’s viewed you…etc.) of a service. So don’t rush to take out a paid membership, take some time and check out a few of the different sites to find which ones feel good to you. And you want to make each day count. 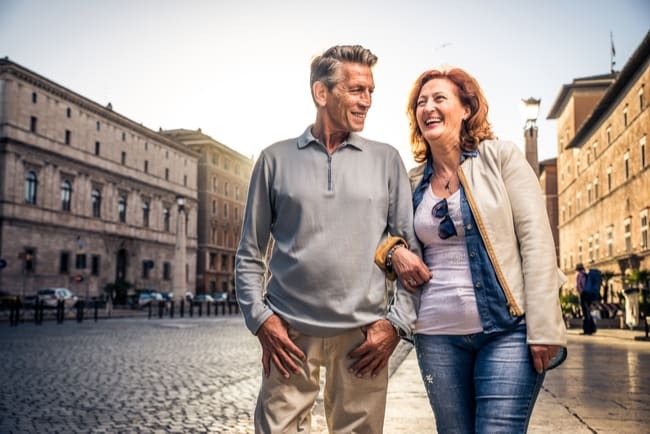 So if you’re 55+ and looking to embrace your active lifestyle with an amazing new friend or companion, start checking out some of the great online senior dating sites today.